Redeemed - Chosen - Medallion Necklace: Over 40% off! With an affirming message and a relevant Scripture reference printed on back, this necklace adds inspiration and vintage flair to wardrobes of all styles! Grace & Peace - Makeup Bag: Over 60% off! Bringing a message of 'grace & peace,' this inspirational makeup bag has ample space for carrying all your makeup! Peanuts - Happy - DayBrightener, Journal & Gift Bag Set: Over 50% off! Bring smiles to faces and joy to hearts with this delightful Peanuts set! Its sweet sentiments and meaningful Scripture will be a blessing to the recipient! Encouragement - You're Here Not by Chance - 3 Premium Cards: Only $1.00 per card! Inspired by the movie, COURAGEOUS, DaySpring offers these high-quality greeting cards to help encourage husbands, sons, brothers, and friends in their walk with God and with others. Colors of Compassion - Birthday - When God - 6 Premium Cards: Only $1.65 per card! You can make a real difference in the lives of children in need around the world…just by purchasing the new "Colors of Compassion" greeting cards right here at home! Witness - There is Only One Reason - 6 Premium Cards: Only $1.75 per card! The best way to show someone you care is to tell them about Jesus. God Will be with You - Mirror: Beautifully painted, and distressed in a hue of rich gold, this inspirational mirror adds a comfortable, welcoming touch to your home or office décor. God's Heart for You - Rhodium Plated Necklace: This beautiful necklace features a pendant with the engraved words created, chosen, celebrated, and cherished. God's Heart for You - Sterling Silver Necklace: This beautiful sterling silver necklace features a pendant with the engraved words created, chosen, celebrated, and cherished. Holley Gerth - You're Already Amazing: You're Already Amazing! 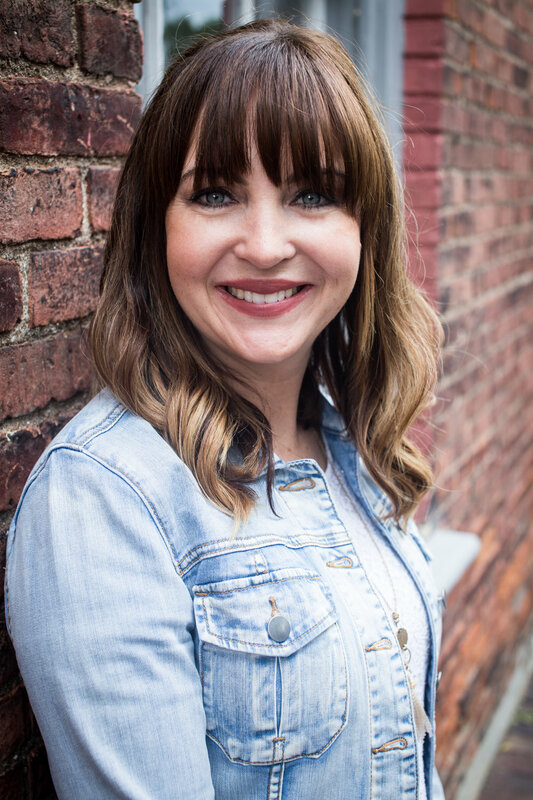 In her new book, Holley Gerth helps you understand and embrace the truth that as a woman, you do not need to do more, be more, and have more---because you are already amazing just the way God created you to be. Ann Voskamp - One Thousand Gifts - Photo Gift Book: Selections from One Thousand Gifts features powerful, life-changing passages from Ann's compelling story and her own exquisite photography. Annie F. Downs - Perfectly Unique: Author Annie Downs, in her book Perfectly Unique, will take you on a thoughtful, funny and spirit-filled exploration of the way you were designed, learning to value God's perfectly unique creation...yourself! Lysa TerKeurst - Unglued: Lysa TerKeurst, in her inspiring and practical way, shows how God gave us emotions to experience life, not destroy it. Angie Smith - Mended: Author, Angie Smith, takes you on a journey to show how faith lived in the regular events of daily life is all that it takes to be a part of creating God's picture of redemption in your life and those around you. Now I Lay Me Down to Sleep - Teddy Bear Prayer Plush: This cuddly teddy bear plush, with its snuggly softness and inspiring message, will encourage young hearts in learning the classic children's prayer, Now I Lay Me Down to Sleep. Jesus Loves Me - Musical Bunny Plush: This cuddly bunny plush will delight the hearts of every young child! Jesus Loves Me - Musical Elephant Plush - Pink: This pink elephant plush will delight the hearts of precious little ones as they listen to the melody and words of the classic children's hymn, "Jesus Loves Me." Jesus Loves Me - Musical Lamb Plush - White: This cuddly lamb plush will delight the hearts of every young child! Jesus Loves Me - Musical Monkey Plush: This cuddly monkey plush will delight the hearts of every young child! Words for the Heart - Christian Ornament: The Words for the Heart Christian ornament can be displayed all year as a reminder of Faith, Hope Love, Joy, Peace and Jesus.